Just because it’s cold outside doesn’t mean you can’t remain stylish. This is where outerwear and footwear really come into their own. And what better option for outerwear than the sheepskin jacket, first made trendy by American pilots in the 1940s. 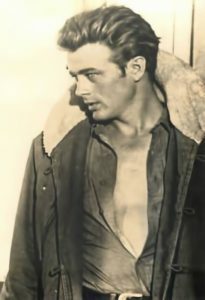 The trend was popularized by several films, including blockbusters of the 1950s, Giant and On the Waterfront, with stars such as James Dean and Marlon Brando helping to cement the look as a chic and sophisticated one. 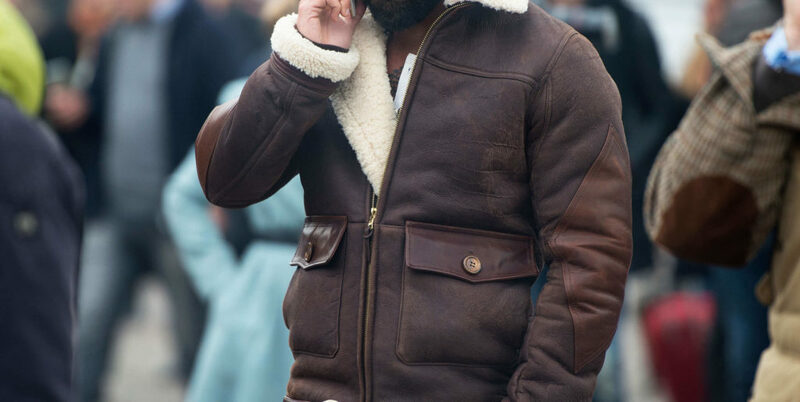 The sheepskin jacket was even hitting the fashion runways in the 70s, and now it’s considered a timeless classic that signifies refinement and success. Featuring a soft, warm sheepskin lining and a suede outer, today’s models retain their traditional charm but benefit from better shapes, cuts and styles to provide an updated look for the contemporary man of today. Neutral colors are still the go-to option, as these can be worn easily with other styles. Colors such as creams and whites, shades of brown and beige, as well as black. Various styles, including the classic aviator jacket and sport jacket, as well as coats, are all on trend this year. Although genuine sheepskin can often be expensive, it’s a natural product that will last for many years to come and should be considered an investment. Not only that, because it’s real sheep’s wool, it’s breathable and naturally very warm. Perfect for cold winters. For a casual but sophisticated look, combine your sheepskin jacket with the Moscow elevator sneakers. 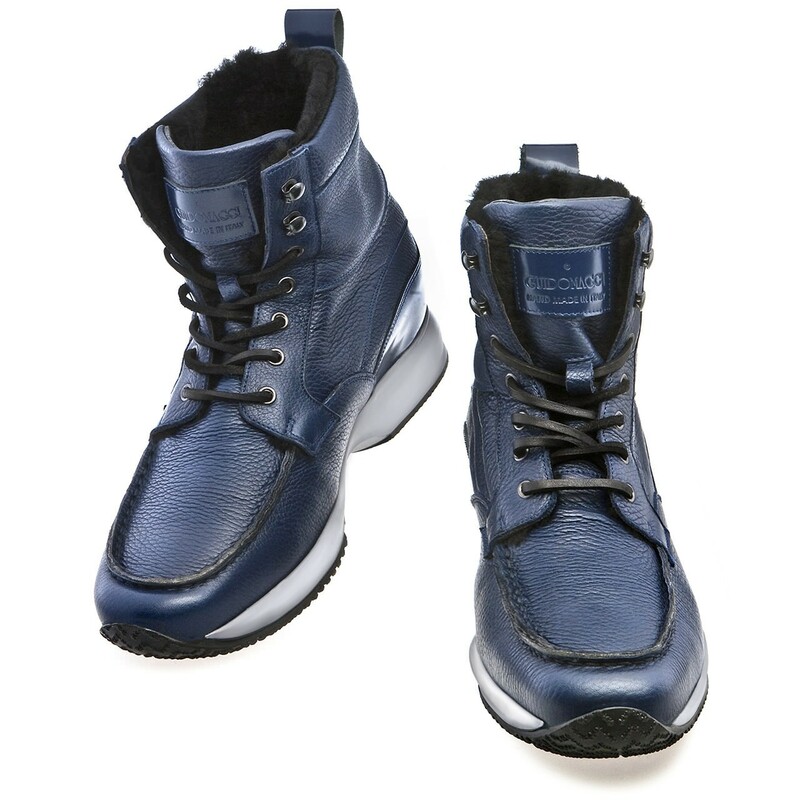 These chic high top sneakers feature a blue calfskin leather and a sheepskin lining to keep your feet warm on cold winter days. Plus, can increase your height by up to 4 inches. Keep your look classic and increase your height by up to 4 inches with the Astana elevator boots. 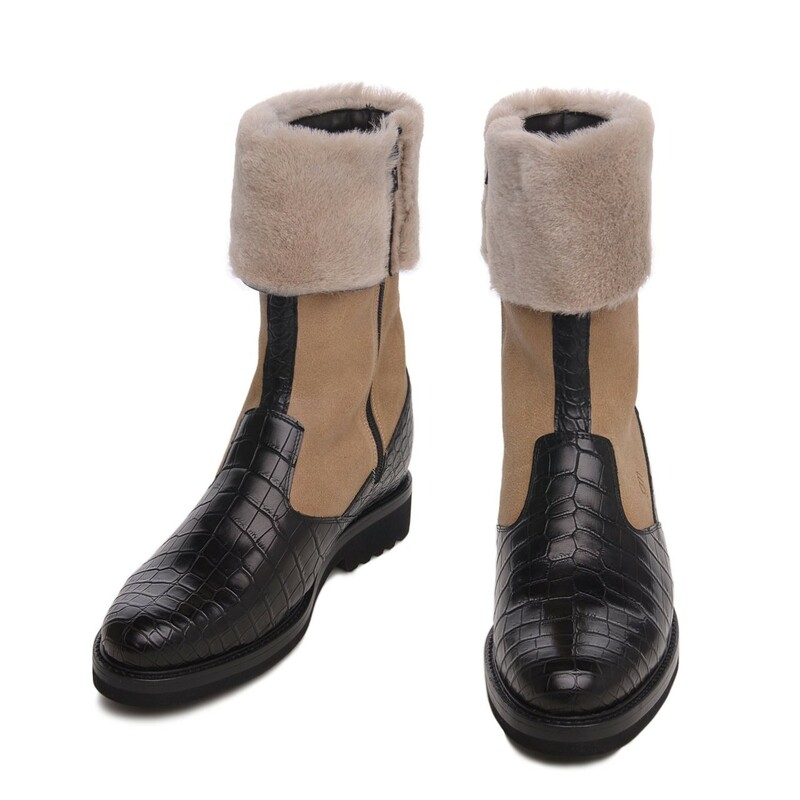 With Tuscan leather and Hermès crocodile upper and a sheepskin collar, these stylish boots are built for warmth and winter, whether for apres-ski or a stroll in the city.